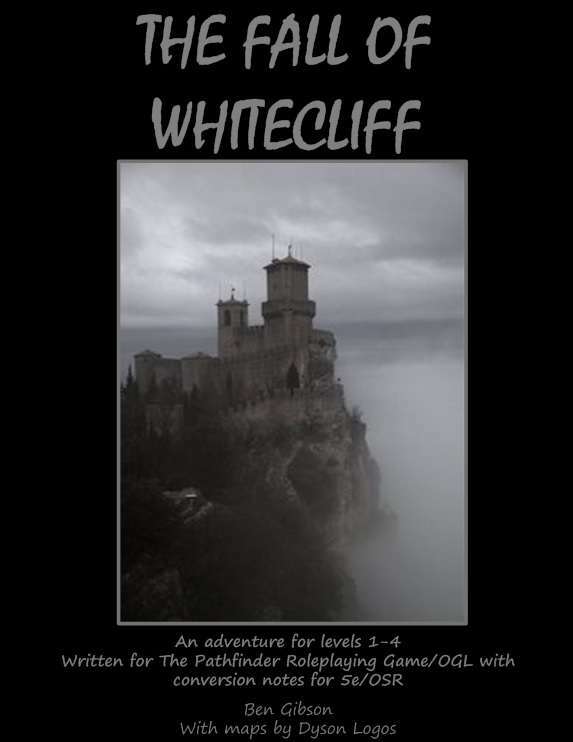 The Fall of Whitecliff is a sandbox/regional adventure written for a new group of players, designed to take them from nothing-but-the-clothes-on-their-back fresh level 1s all the way up to level 4 by the end of the adventure. The adventure takes place within a small and mountainous region along the coast that can be placed almost anywhere in your campaign world of choice, and can be readily adapted to most common fantasy RPG systems. It uses the one-page dungeon format to deliever tight, punchy sessions focused entirely for the game master's use at the table.